Our long time friend Pete came into town for a sales event with his employer. The meetings were held Thursday through Saturday and he was leaving for home on Sunday. He came in a day early so he could hang out with Chris and I. We had dinner at one of our local favorite go-to restaurants; T-Box. Pete decided to spend the night because he was going to provide some sales training for Chris and her staff early the following day. Pete is a fan of wine just like us and just like me, he likes the older wines that have complex flavors. Before we had dinner I shared a glass of wine so we could have a chance to visit and get caught up. 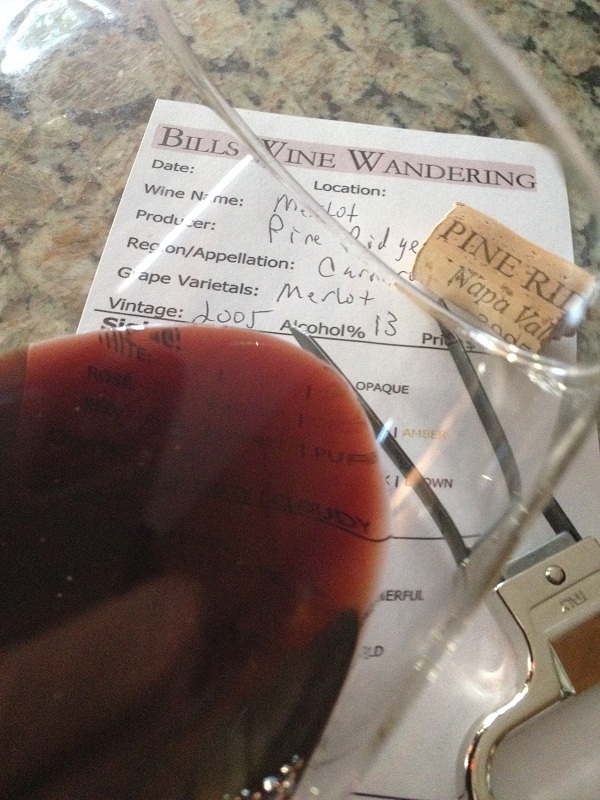 Wandering through my cellar I came across a bottle of a 2005 Pine Ridge Carneros Merlot. I had a bit of trouble pulling to cork and half way through, it broke! 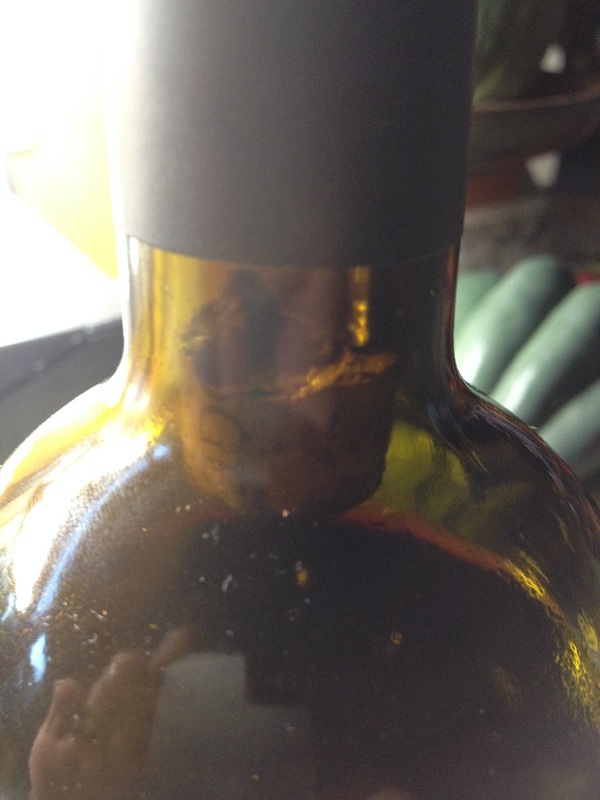 About a quarter of the cork remained in the neck that I was forced to push it in the bottle. 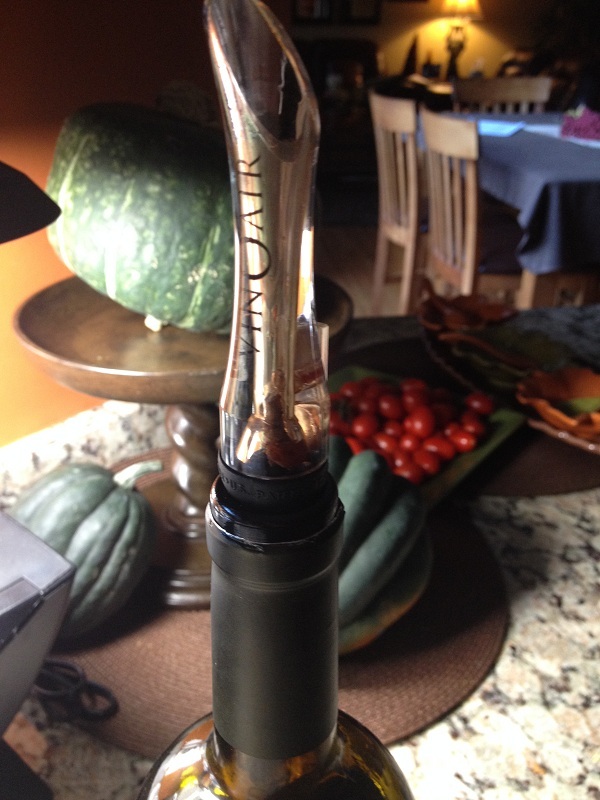 I used my Vinoair to help decant and to avoid any small pieces of cork getting into our glass. The Carneros Merlot was deep with a nice garnet to bricky hue. The initial aromas were moderate to aromatic before I swirled my glass and the Merlot smelled slightly middle-aged. I noted oak, caramel, toast, blueberry, and dark berries. This wine was dry and full-bodied. The acidity was lively, not flabby and the tannins were medium and soft. I could taste slight cocoa, cherry, and caramel. It was very flavorful and silky with a medium to long finish. 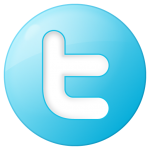 How much: $45 before any wine club discounts. 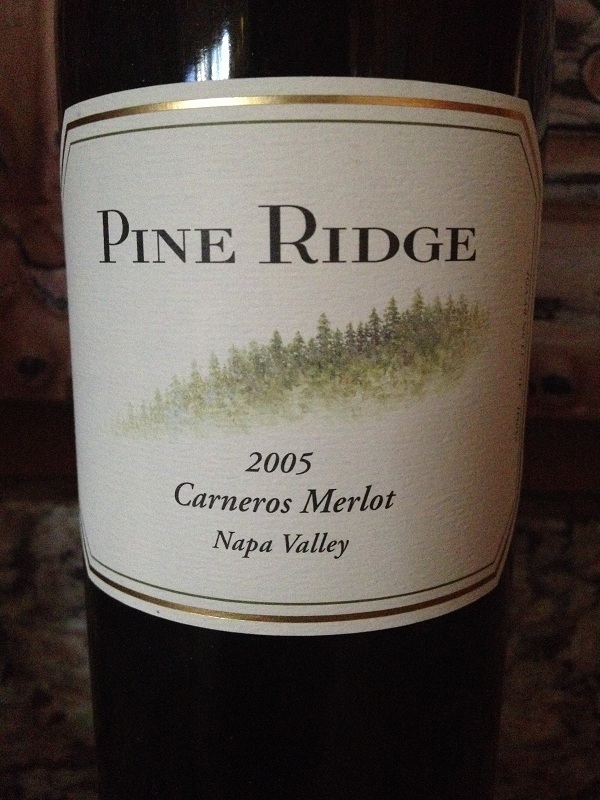 I rated the 2005 Pine Ridge Carneros Merlot three glasses.